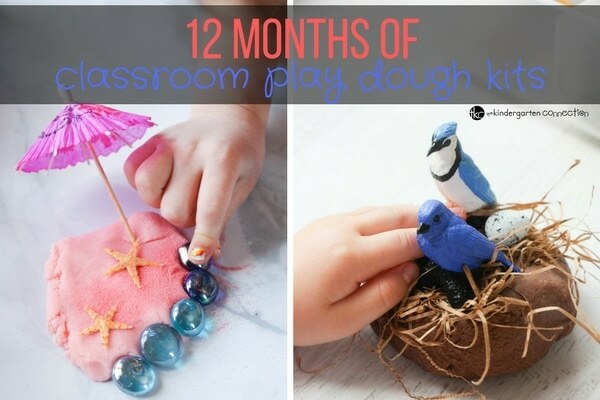 One of my favorite ways to engage in sensory play in the classroom is with our classroom-sized play dough kits. 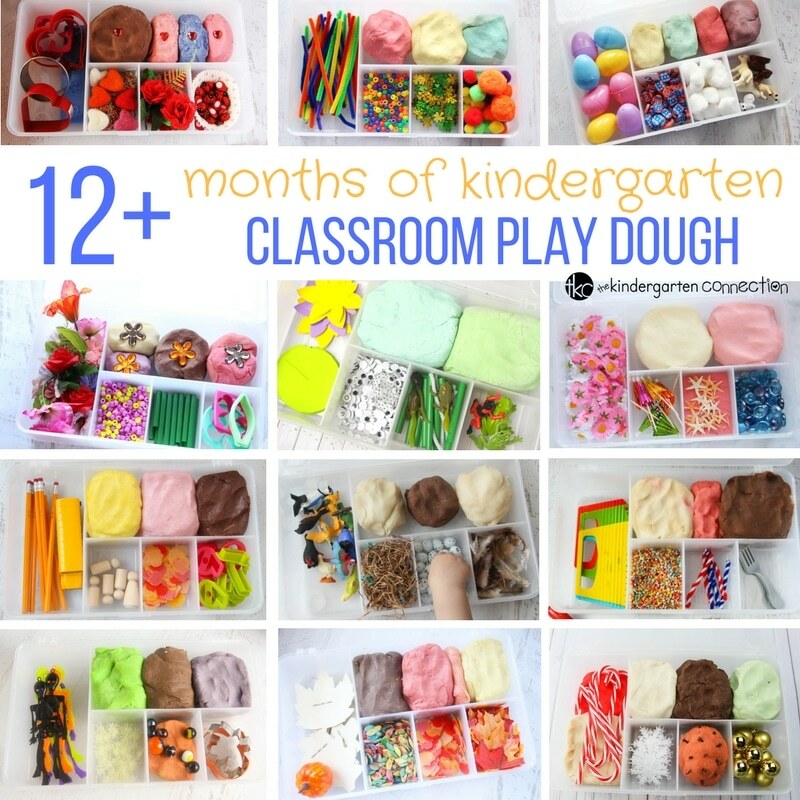 Last year, I shared one new kit every month and this year I’m so excited to present the full collection of 12 Months of Classroom Play Dough Activity Kits to you! 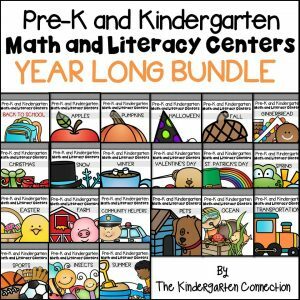 This collection is actually 12+ months because we’ve also added in a birthday play dough kit that I like to have on hand all of the time for special birthday girls or boys. 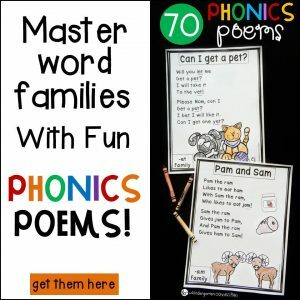 School lets out and has breaks at different times in the year for different states and school boards so while the summer months may not be of use to you, they are still great themes that can be used for President’s Day or for kids that are anxiously awaiting the arrival of summer! We also did a few “holiday” bins (Easter, Halloween, Christmas) that can be easily made more neutral if you don’t celebrate holidays within your classroom. Substitute the Frog or Spring Flowers bin for Easter, the Fall bin for Halloween, and just remove the ornaments from the Christmas bin and you are good to go! 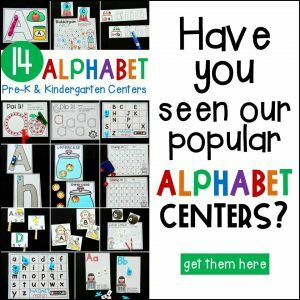 Each of these kits makes use of a variety of manipulatives and are kept in sturdy sectioned containers. 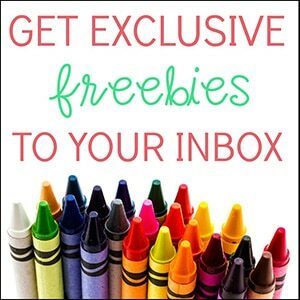 You can find a similar container here for online shopping! 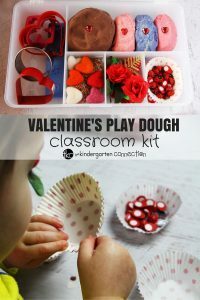 While some of these kits used no-cook recipes which are more convenient for the classroom (all you need is a kettle), I have reluctantly returned to making cooked play dough. 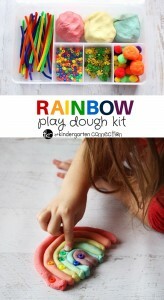 I find it lasts longer and I always end up having to scrub at least one pot after a play dough making session. But do what works for you! 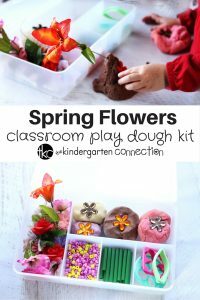 All of these kits work just as well even with purchased play dough – the real winner are the manipulatives and all of the learning opportunities they provide. 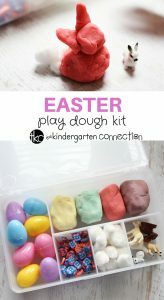 I hope your kindergarten class loves this collection of seasonal play dough activity kits!